That was the number one tip our guide told us. Whether it be like jet-skiing or lumber-jacking, we’re not too fussed. 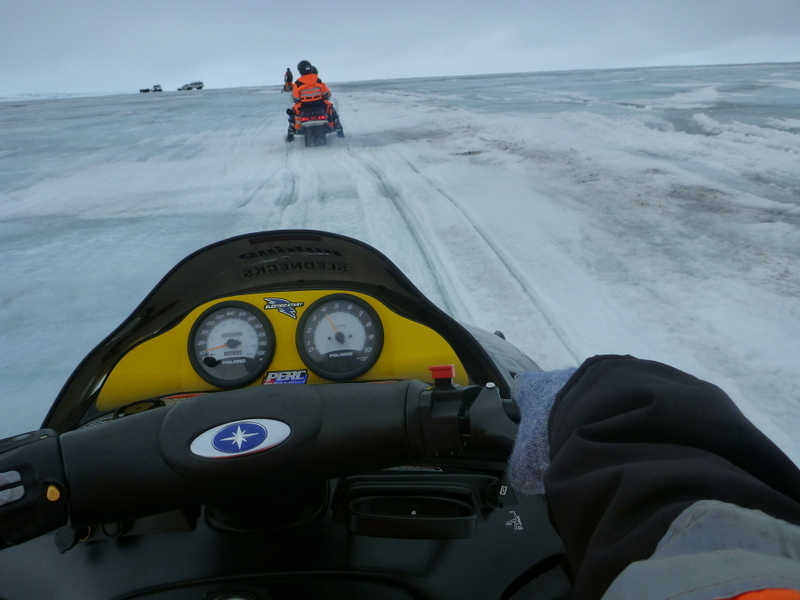 This is snowmobiling! 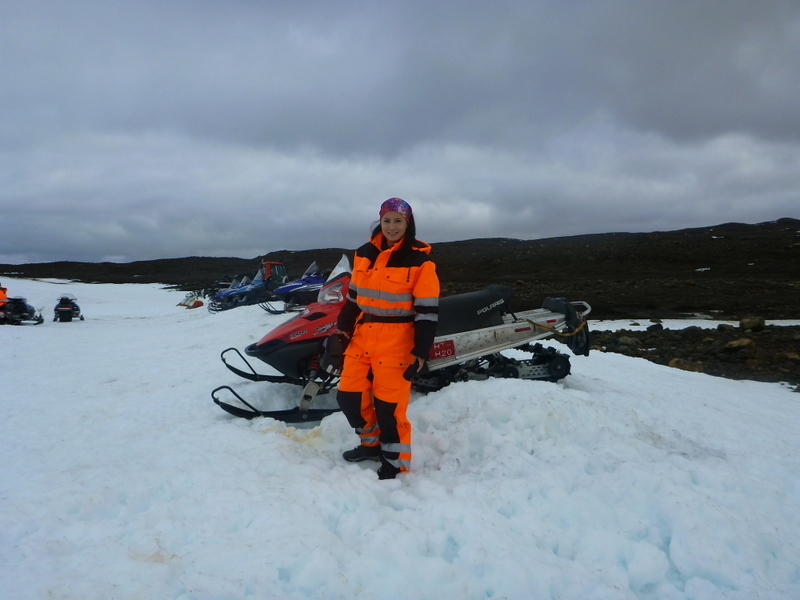 On a Glacier! And in Iceland, no less! 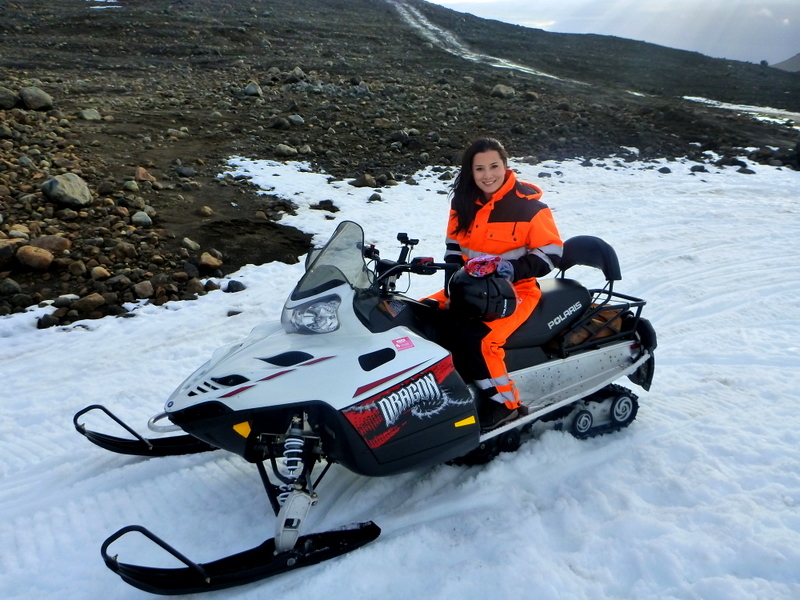 We booked the Golden Circle and Glacier Ride tour with Arctic Adventures. 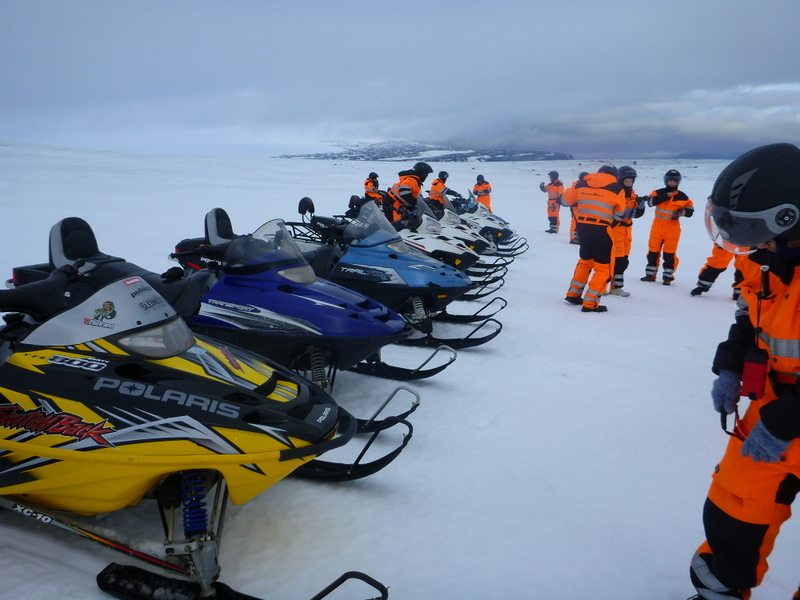 The Golden Circle tour, which took part in the morning, deserves another post. For now, we fast forward to the afternoon. Because that’s when the action starts! 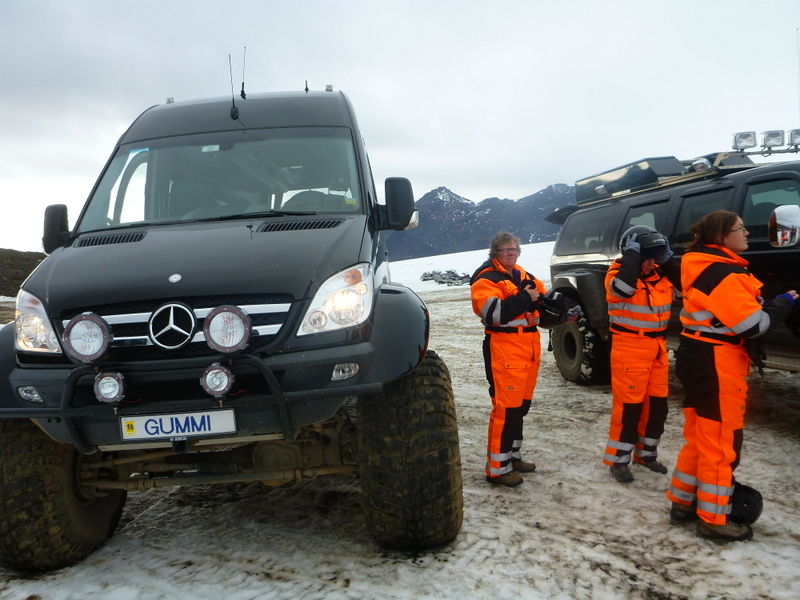 First of all, look at this massive super jeep that they picked us up in! I sure felt like the king gangsta of Reykjavik when we were picked up early in the morning from our hotel. 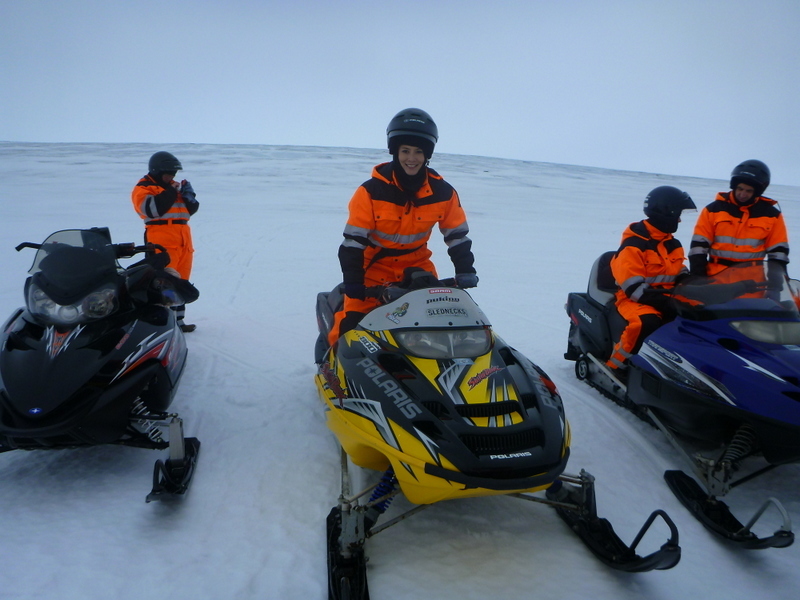 The reflective all-weather suit was provided, along with helmets and gloves. One thing I noticed and loved was how clean the clothing and equipment are. They almost seemed brand new, or newly cleaned. Either way, it is very impressive. 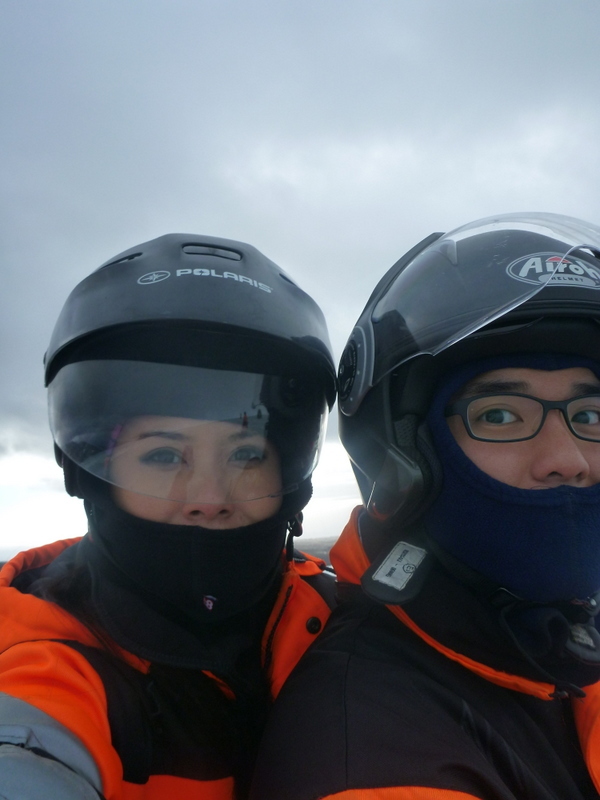 Definitely one of our memorable afternoons in Iceland! 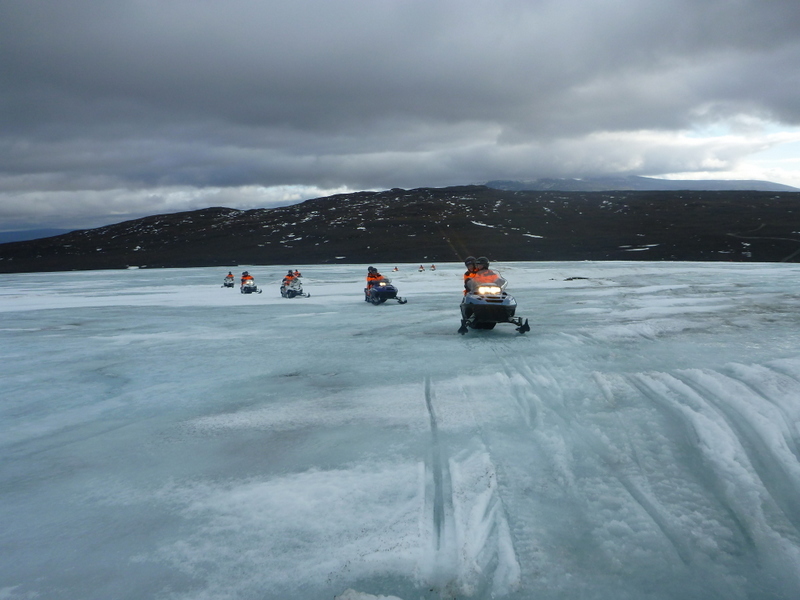 We took this Glacier Snowmobiling tour in conjunction with the Golden Circle and Glacier Ride Day Tour from Arctic Adventures. Sounds awesome. I’ll be in Iceland in a week and a half. Can’t wait. I will definitely check out this tour. Thanks for sharing. This looks like great fun. I also bet the ride is a lot smoother than a jet ski. BTW, the orange outfit seems to suit you, it could be your colour? Haha you should have that on your list it was quite an amazing adventure!